Some well-meaning vegans have chosen to ignore the fast-food market because of its emphasis on fried animal flesh, but the bottom line is this: In order to convince meat-eaters to stop eating animals, vegetarian options must be convenient and available in the places where meat-eaters munch. There will never be vegan or vegetarian options at fast-food chains unless vegetarians and vegans support them. Some of us never thought that we’d see the day when Burger King offered veggie burgers, but now that it does, the millions of carnivores who eat there can see that choosing meatless meals is easy and tasty. This is a huge step in the right direction. People who travel frequently know that fast food is often one of the only options. Gone are the days when vegetarians fast food on the go were limited to mini-mart snacking and cookies! With the support of consumers’ demand for cruelty-free options, we can make sure that meat-eaters have no excuse for downing that cholesterol bomb in a bun. 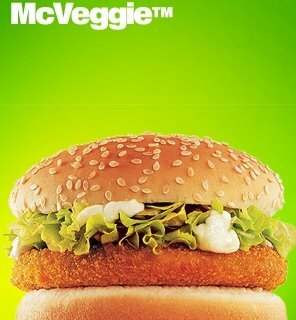 To keep up with the times, McDonald’s is offering a McVeggie burger in California and New York City. This is a trial run, and support for this tremendous addition is vital so that the rest of the world can also have access to this quick, animal-friendly burger. No animals were harmed for this burger—talk about a “happy meal”! Head to Wendy’s for a plain baked potato, Deluxe Garden Salad (ask for “no cheese”) with the red Italian dressing, or French fries. You can also ask for a veggie sandwich, which includes everything that would normally be on the burger except the meat—there’s even a button for it on the cash register. If you stop at Roy Rogers, you’ll find baked potatoes, sides of veggies, and a salad bar. And their mashed potatoes are vegan if you forgo the gravy. The French fries, hash-brown nuggets, breadsticks, English muffins, and CrissCuts at Carl’s Jr. are all vegan. In the restaurant, there is an all-you-can-eat salad bar that offers a variety of fresh vegetables and a three-bean salad that can be topped with fat-free Italian dressing. 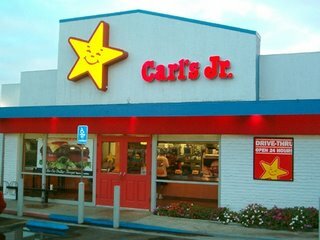 Carl’s Jr. also offers Great Stuff™ baked potatoes, which can be ordered with all-vegetable margarine. Swing by a Petro truck stop, and you’ll find the Iron Skillet restaurant, where you can refuel with the stacked salad bar and spaghetti with meat-free sauce. Backyard Burgers, a restaurant chain in the South and the Midwest, offers a delicious garden veggie sandwich. The Grilled Portobello Mushroom Sandwich and Boca Burger are vegan at Cheeburger Cheeburger, which can be found throughout the Midwest and the South and on the East Coast. 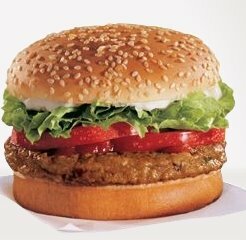 Burger King’s new BK Veggiea flame-broiled vegetarian burger—enjoyed a successful introduction. Each time a Burger King customer sees “BK Veggie” it is a reminder that “having it your way” doesn’t have to mean taking a bite out of Bessie. Chipotle offers the Vegetarian Fajita Burrito, but be sure to order the black beans because the pinto beans are cooked with bacon. You have several vegan options at Hard Times Café, including the Café Veggie Burger and the Veggie Chili. Be sure to tell your server that you don’t want any dairy products in your Veggie Chili. Harvey’s, with locations in Canada, offers the vegan Veggie Burger. Several of Taco Bell’s dishes can be veganized simply by deleting a few ingredients. The 7-Layer Burritos can be vegan with five layers—just forgo the cheese and sour cream. 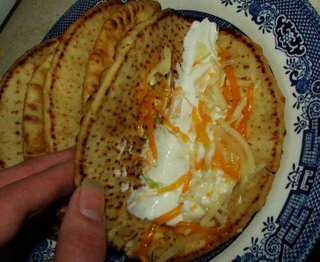 The tacos, nachos, and Mexican pizzas are vegan when you ask the cashier to hold the meat, cheese, and sour cream. Houston’s offers a veggie plate and the Vegetarian Burger. Just be sure to order the burger on vegan bread. The Garden Po’ Boy, the Portobello Wrapini, and the Spinach Veggie Wrap are your vegan options at Jason’s Deli. Be sure to ask about the vegan status of each of these dishes because it varies by location. John Harvard’s offers a grilled Portobello mushroom and a veggie burger. Be sure to check the vegan status of your choice when ordering fast food.